Cadey is dedicated to exceeding her clients’ expectations by delivering concierge-level service, sound counsel and proven results. She values long-term relationships and is appreciated for her candor, responsiveness, marketing and sales finesse and sense of humor. Cadey specializes in new construction, developer marketing and sales and luxury home and condo sales in Lincoln Park, Lakeview and surrounding neighborhoods. She has a particular eye for design which benefits her clients in the purchase or sale of their homes and has cultivated a network of service professionals and specialists that enrich the personal environments and lives of her clients. Cadey loves her work but is especially excited about leading sales for the new luxury condo development at Lincoln Common on the former site of Children’s Memorial Hospital in Lincoln Park. Cadey is a natural connector and takes great satisfaction in making introductions that enhance social and business opportunities for her clients and colleagues. She also enjoys hosting events and creating content that is relevant, timely and valuable on topics related to real estate and beyond. She co-founded and leads a networking group composed of real estate and related industry professionals, serves on the board of the Sheffield Neighborhood Association, is a member of the Lincoln Park Chamber and is active in other organizations and groups. In addition, Cadey has developed an expertise in serving clients going through divorce. Her personal experience spawned a genuine desire to help others. With an empathetic demeanor, knowledge of the process and access to a range of divorce and financial professionals, she offers a holistic and consultative approach to her clients that enables them to make informed decisions. 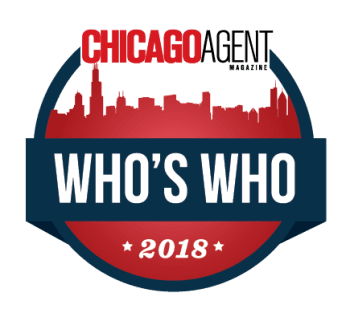 Cadey is recognized as one of 2018 Chicago Agent Magazine's "Who's Who of Real Estate" and was named a Top Producer by the Chicago Association of Realtors and a Top Producer at Jameson Sotheby's in Chicago. She is a long-time resident of Lincoln Park. · Generated one of the highest dollar per square foot sales in Bucktown for a new home sold. · Sold a new home for the highest dollar sale amount to date for a new construction home in North Center. · Achieved one of the highest dollar per square foot sales for a luxury boutique condo development in Lakeview. 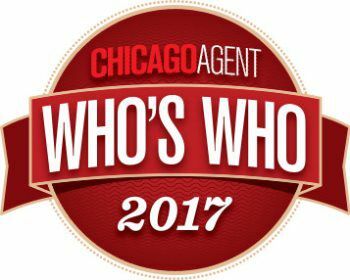 · Recognized as one of 2016, 2017 and 2018 Chicago Agent Magazine's "Who's Who of Real Estate." · Named a Top Producer by the Chicago Association of Realtors and a Top Producer at Jameson Sotheby's International Realty.